Here at Walks of Italy, we have quite the sweet tooth—and that’s one of the reasons why we love Italy! Although pizza and pasta get most of the attention, Italy’s cookies, cakes and desserts are pretty delicious, too. Here are just five of our favorite Italian sweets, or dolci! 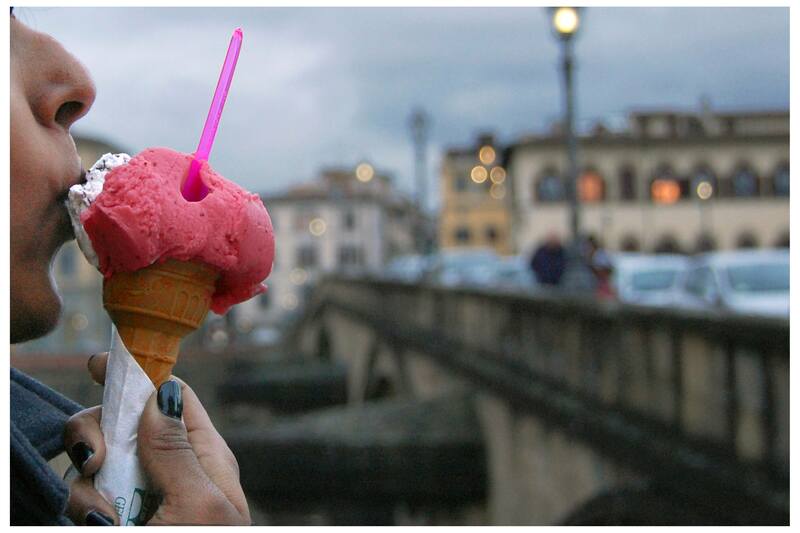 The perfect treat year-round: gelato! Whether it’s the heat of summer or the dead of winter, we always like the excuse to go for a gelato. 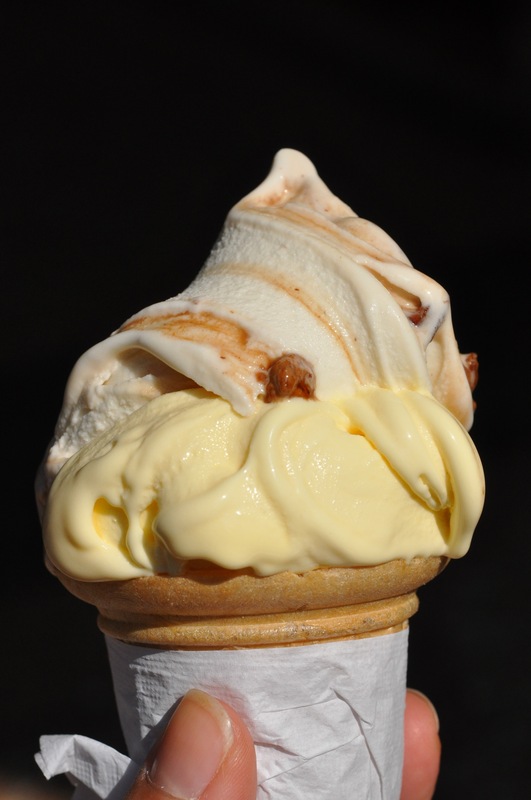 And no, gelato isn’t just “ice cream.” It has way less butterfat (4 to 8 percent, compared to 14 percent for American ice cream), meaning it freezes less solidly than ice cream and melts in your mouth faster. And it’s not whipped with air and water, as with ice cream elsewhere, so it’s more flavorful. (Here’s more on what gelato really is). Want to try the best of Italian gelato? Then just make sure you choose your gelateria carefully. Unfortunately, many places these days do “pump up” their gelato with air and water, giving it that fluffy, hilly, swirly look. And lots of places also use artificial powders and flavorings. So avoid gelaterias selling gelato that looks too fluffy or too bright. To help, here some of our favorite gelaterias in Italy! 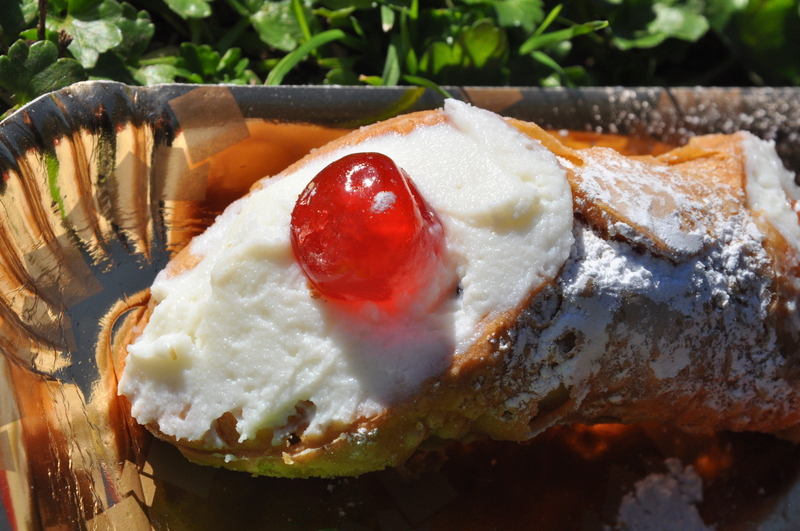 A cannolo is sure to satisfy any sweet tooth! Cannoli alone are a reason to head to Sicily… or at least to a good Sicilian bakery in Italy! Tube-shaped shells are fried to a delicious crisp, then filled with creamy ricotta. The sign of a top-notch bakery? When all you see in the display case are the shells themselves, and they’re only filled with ricotta when you actually order one. Often, you’ll also be asked if you want the ends dipped in chocolate chips, candied fruit, or pistachios. We don’t think you can go wrong with any of the options! 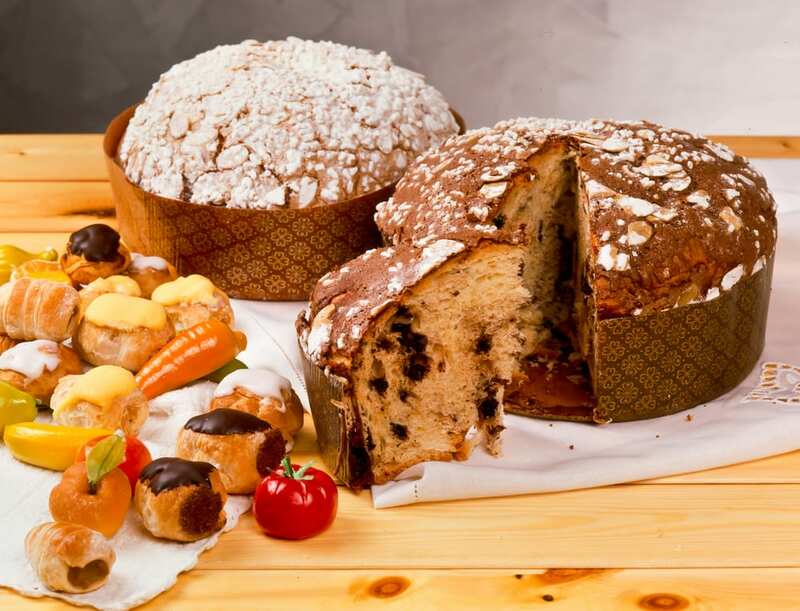 As for almost all food in Italy, there’s a time and place to eat panettone: at Christmastime, and–ideally—in northern Italy, particularly Milan. But although it’s from the north, the curious have ample opportunity to try this sweet, dome-shaped bread loaf in other parts of the country, as the tradition has spread from region to region. Usually studded with raisins and candied citrus peels, panettone takes several days to make since, like sourdough, it must be cured. (Here are 6 Christmas cakes in Italy we love, including panettone!). The ultimate pastry symbol of Naples and the south—and, some would say, of the entire Italian mainland—sfogliatelle (pronounced “sfo-ylee-a-TELL-eeh”) are every bit as delicious as they are famous. Made up of leaves of thin, crispy dough, filled with semi-sweet ricotta mixture, these pastries alone are a reason to visit Naples. (Here are 9 reasons not to skip Naples, including its pastries!). For a taste of the best, we especially love Pasticceria Attanasio, one of 3 fantastic food stops you can make right near the Naples train station. The name of this dessert literally means “pick-me-up,” and that’s exactly what tiramisu is: a dessert made with coffee and cocoa. It’s generally made with layers of coffee-soaked biscuits (or even pieces of cake, like panettone) and a sweetened mascarpone. Interestingly, although it was invented in Italy (food historians think it was first created at a restaurant in Treviso in the 1960s), it remained virtually unknown throughout Italy all the way until the 1990s… when it became wildly popular in the United States! Only then did most Italian restaurants in Italy start adding it to their own menus. 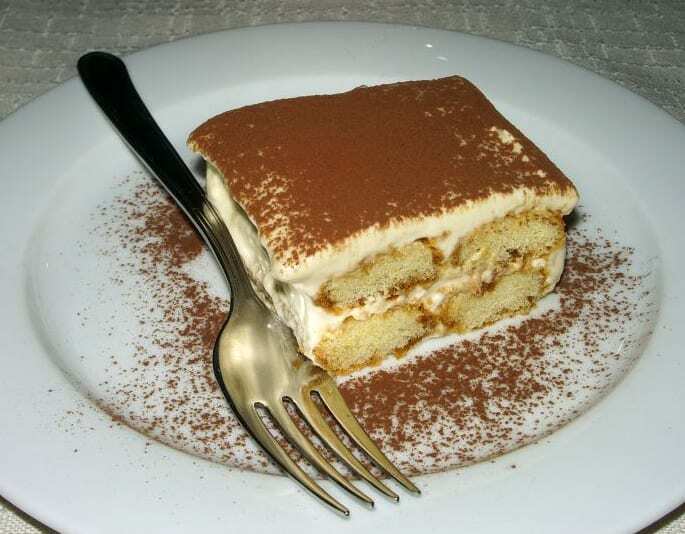 Today, you can find it as an option for dolci on almost every restaurant menu in Italy. What’s your favorite sweet Italian treat? Let us know in the comments! Ahhh Cannoli! 🙂 We really “worship” them here in Sicily. If you’re on tour around the Trapani area, let me suggest to stop at Dattilo, a very tiny village just a few minutes far from the main town: you’ll find there the super-sized Cannoli. Their “plus” is not just their bigger size: believe me, their taste is absolutely delicious… Even Sicilian people take long daily trips by car to get there and taste them! We had a pudding in Regello that was truly amazing. It was at a Hotel called Archimedes. It was better than flan or creme brulee, did not catch the name. Does anyone know? Gelato, panna cota and baba. Panna cota is fried whipcream, and baba is a liquored up pastry. The holy trinity of sweet stuff in italy. So do we, Zachary! Thanks for stopping by! Hello! I am of Spanish descent and these meals bring back many memories of my AMAZING childhood (even though I am originally Cuban). Making these meals is truly one of life’s greatest moments, especially with those dearest to you! Living in Miami does not create many opportunities to indulge in fine Italian cuisine. If you are ever in the area of Braddock Senior High School, be sure to visit, so we can chat and treat ourselves to the finest pastries in Europe. Thanks for the comment Jesus. We agree, we think baking with our loved ones is a great way to spend time! Your 5 favorite sweet treats are on the dot. 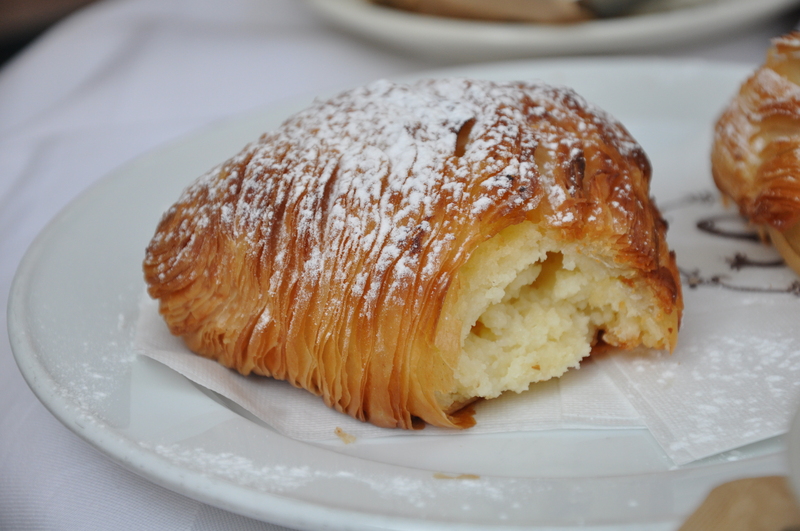 I really really like the Sfogliatelle, which is hard to find in Sacramento, CA. I’d like to add another favorite of mine, the panforte from Tuscany. There are few regions in Italy more famous for food than Emilia-Romagna, the huge region in Italy that’s home to Bologna, Parma and Modena….